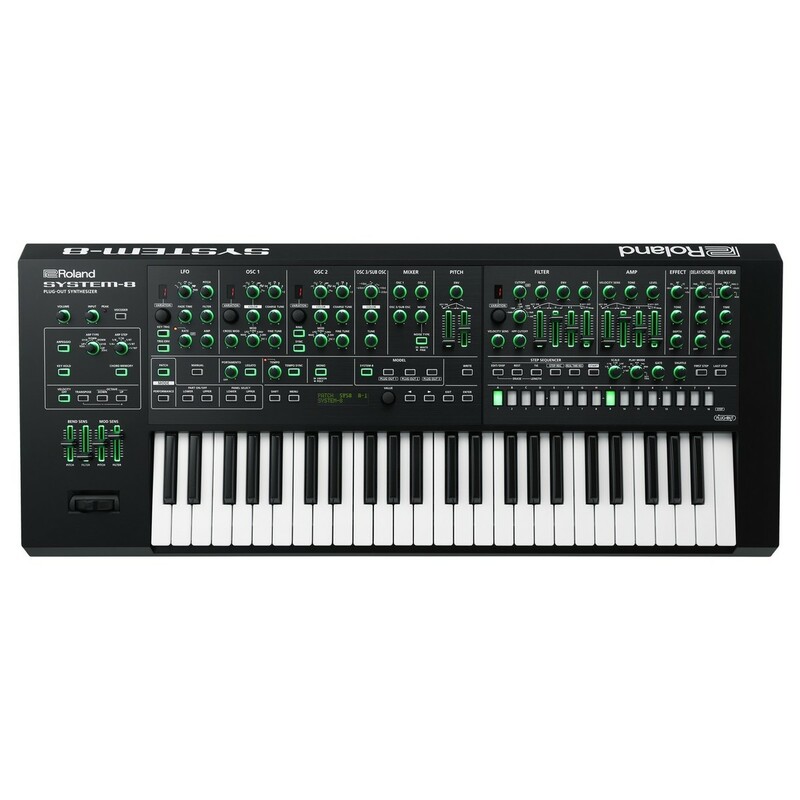 The Roland System 8 AIRA Plug Out Synthesizer is a 49-key professional synthesizer featuring three oscillators. 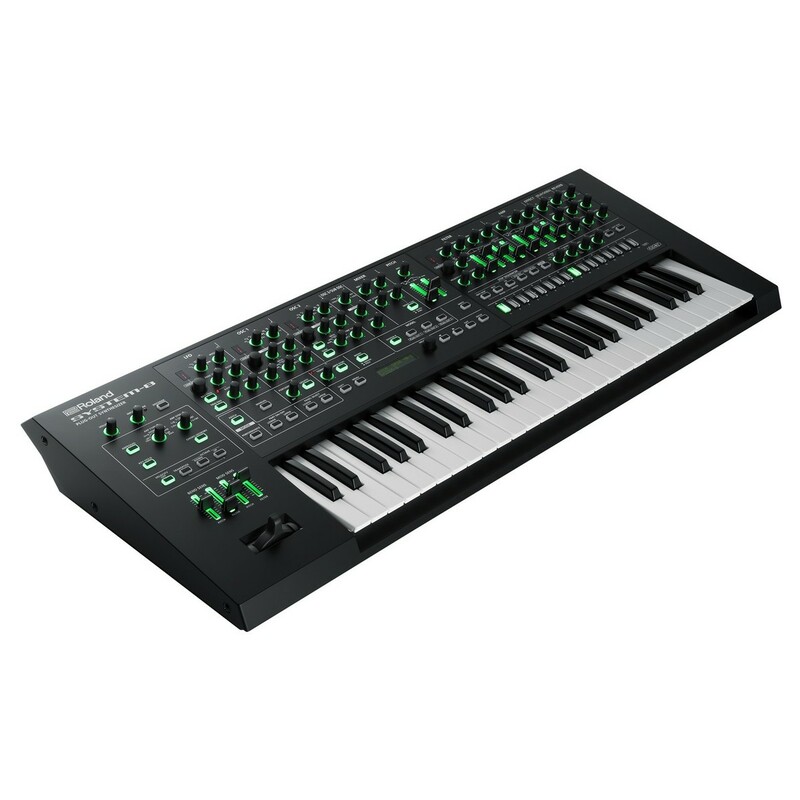 The Roland System 8 AIRA builds on its reputation and design from previous iterations, delivering remarkable flexibility, giving you the ability to access a varied palette of tones with unparalleled character and exceptional audio quality. The System 8 AIRA features improved ACB technology, giving you more rein over your parameters and controls, giving you the ability to craft virtually any sound you desire. 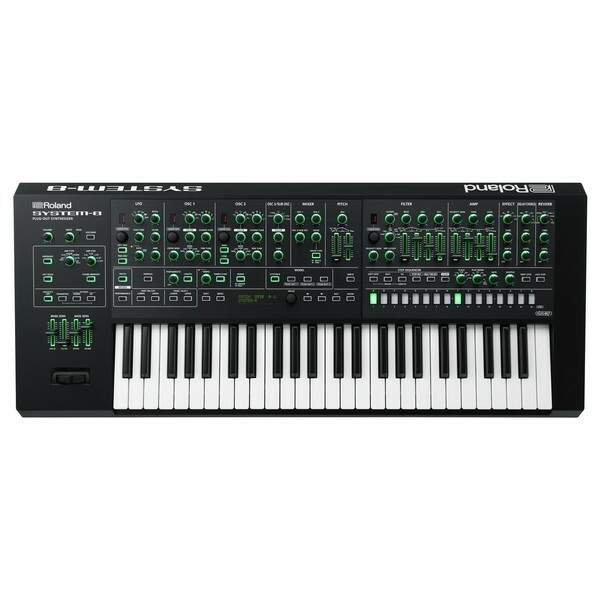 Also included is a built-in vocoder, arpeggiator and polyphonic 'Chord Memory' functions. 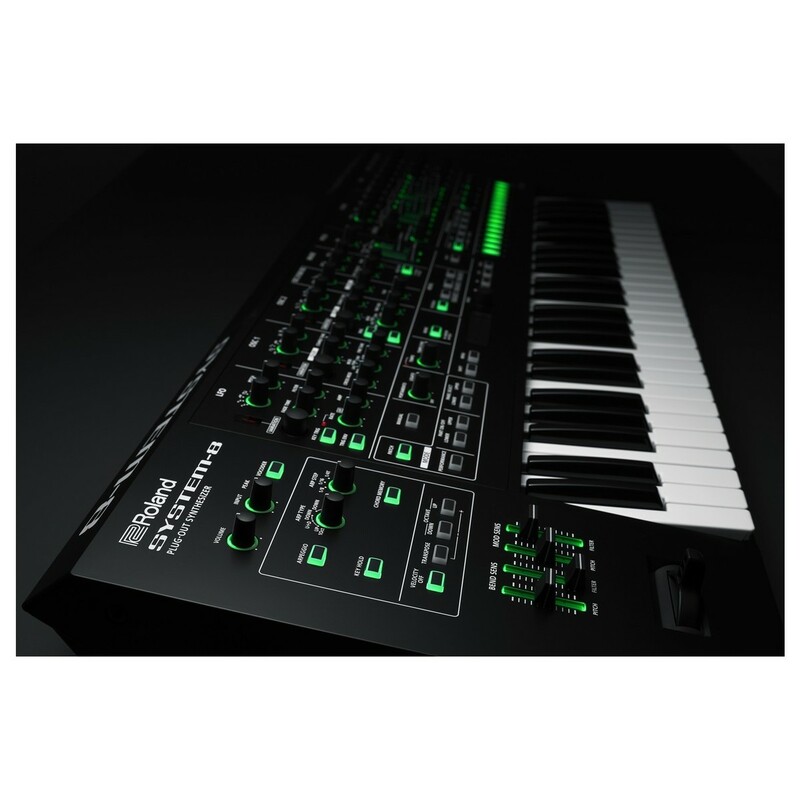 One of the most unique and innovative features of the Roland System 8 AIRA is the new ‘PLUG-OUT’ technology which allows you gain access to plug-in versions of infamous Roland synths, which you can play directly from the System-8, eliminating the need for a computer. 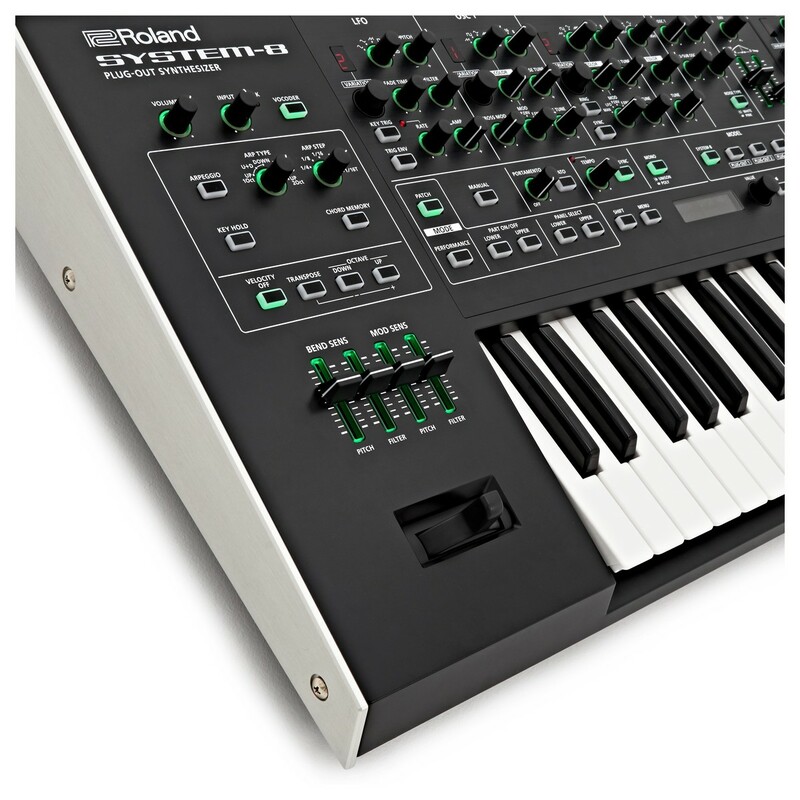 This gives you unprecedented access to a wide range of classic Roland synthesizers that have been emulated in plug-in form for use with the System-8. 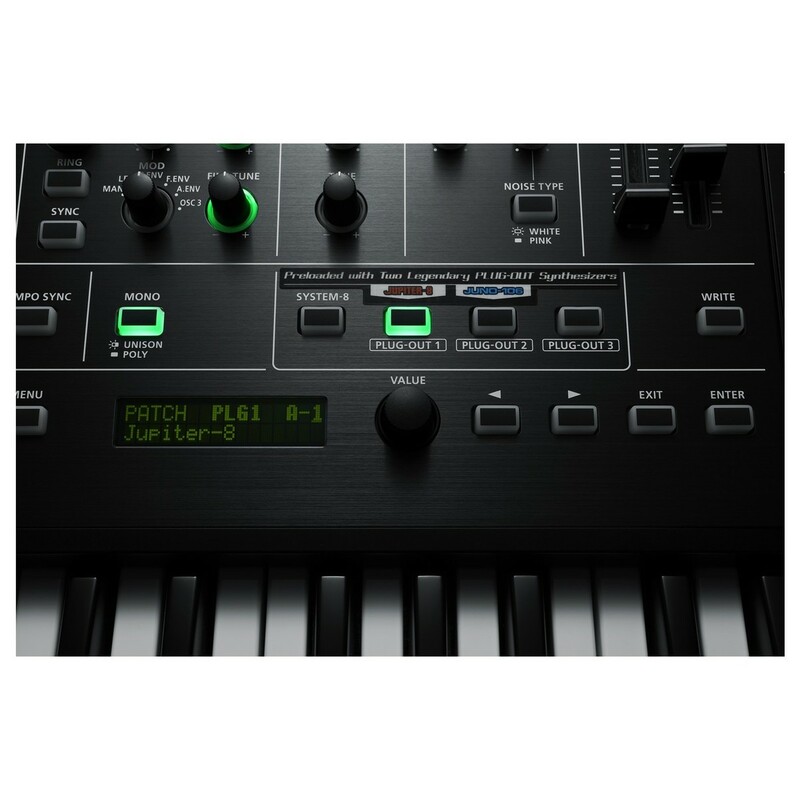 The System-8 also now allows you to host and control up top three Roland Plug-Out software synthesizers, plus brand new JUPITER-8 and JUNO-106 PLUG-OUTs (JUNO PLUG-OUT coming spring 2017) are included with the System 8 AIRA. 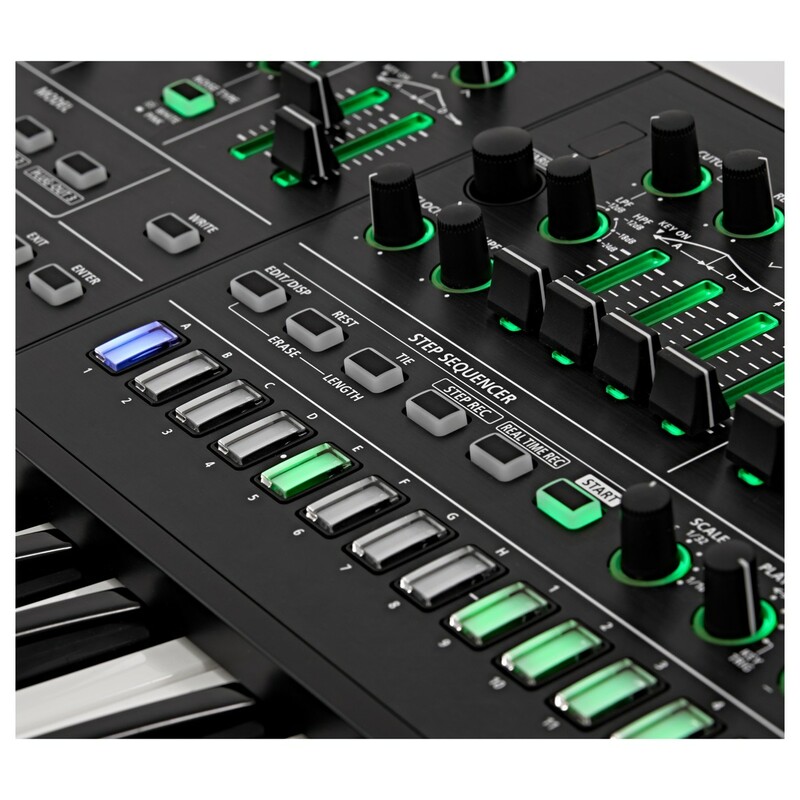 The Roland System 8 AIRA features the latest generation of the renowned Analog Circuit Behaviour (ACB) technology. 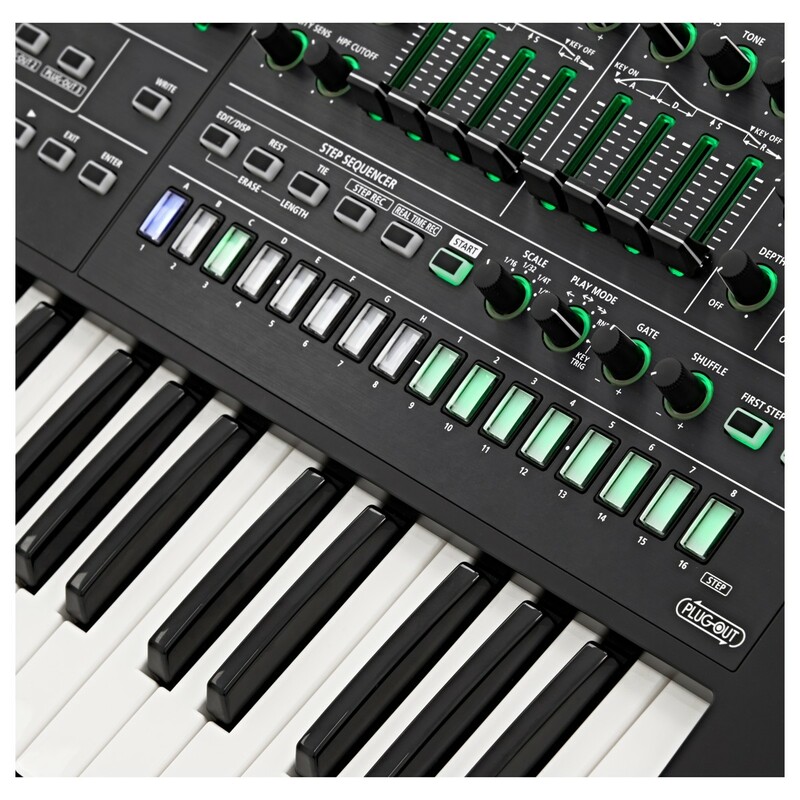 ACB technology was first developed specifically for the AIRA series, enabling the user to authentically recreate the sound and behaviour of classic analog synthesizers. The new SYSTEM-8 synthesizer features the most advanced ACB engine yet, powering the eight voices of polyphony, plus the three oscillators, hi-resolutions filters and the versatile LFOs. The ACB engine provides expressive and diverse sounds, allowing you to create a wide range of tones from classic analog-style pads and basses to dynamic lead synths and other-worldly textures, ideal for the avid sound designer. 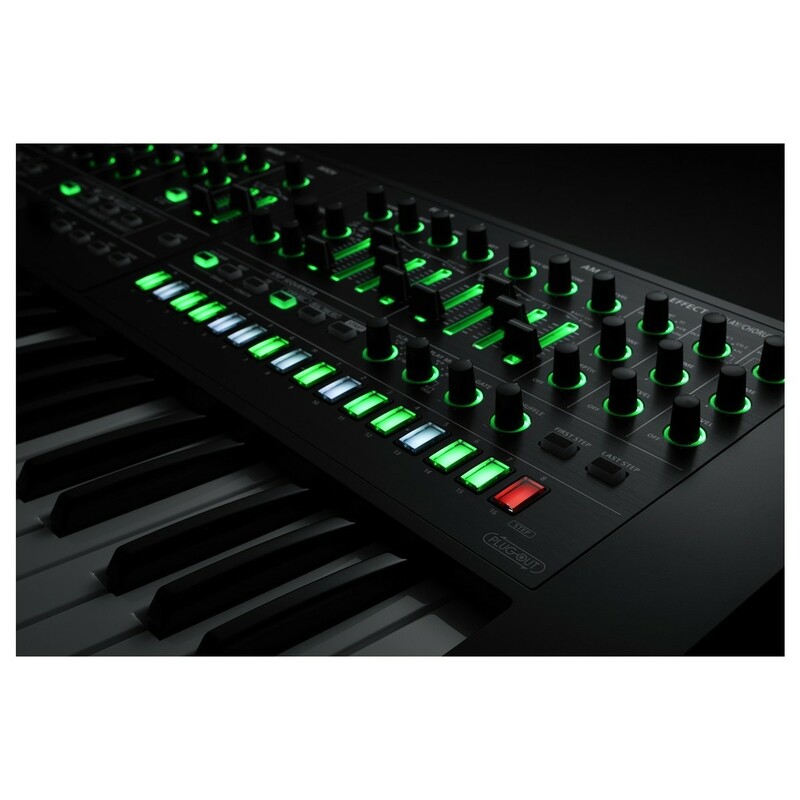 Designed for optimal controllability and sound design, the Roland System 8 AIRA includes a wide range of versatile controls that gives you the ability to craft, mould and edit sounds to your desire. The polyphonic 64-step sequencers features a TR-REC style interface with dedicated controls to play, record and manipulate loop sequences, perfect for incorporating into live performances and music productions. An arpeggio function has also been included complete with quick-access knobs for quickly switching between patterns and styles in real time. 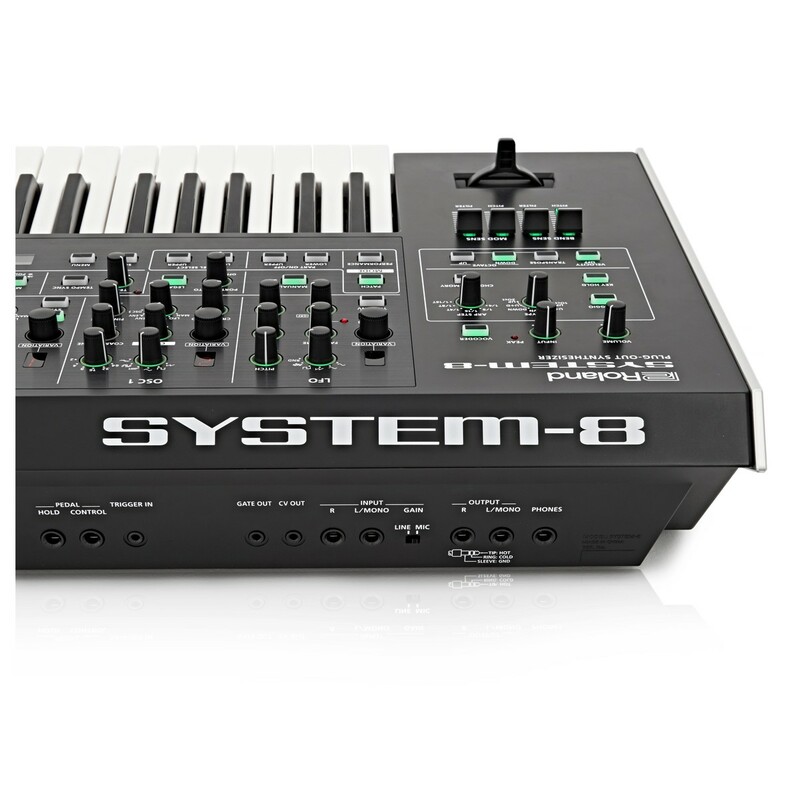 The System-8 even features a built-in advanced vocoder, allowing you to use your voice and words to control the sound while playing notes for unique melodies. Chord Memory functionality allows you to trigger polyphonic note stacks with a single key, giving you the ability to trigger chords with a single note, ideal for live performances where more complex chords may be required. 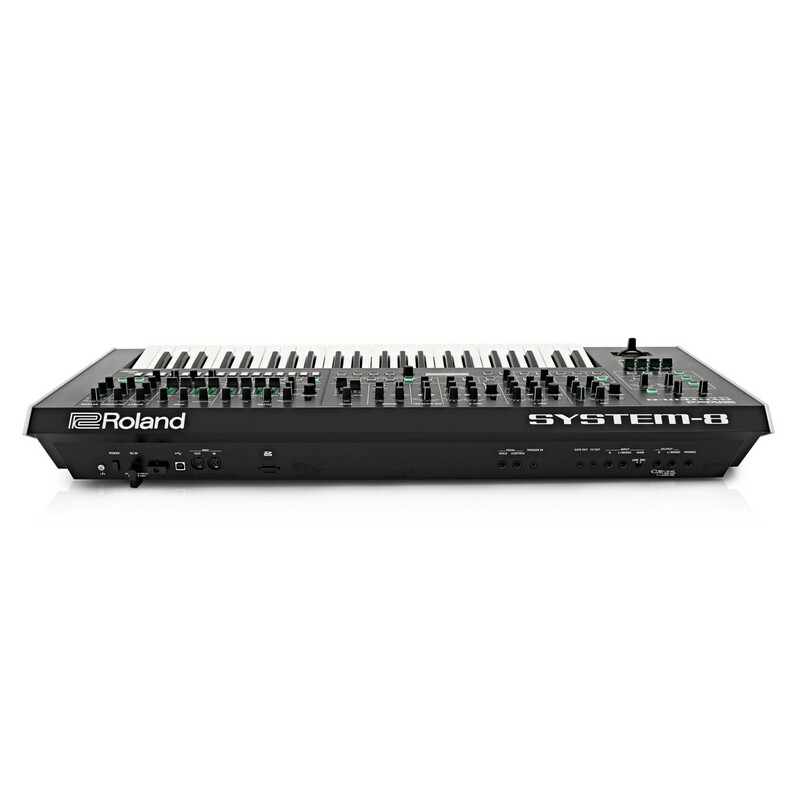 The System-8 also features three expansion slots which helps to host and control Roland’s PLUG-OUT software synths. There are a range of optimal PLUG-OUTs including the SH-2, SH101, PROMARS and more. The System-8 AIRA features a highly intuitive and ergonomic layout that’s presents you with all the prominent controls you need in the optimal position. This gives you a hands-on experience when it comes to sound creation and performance expression. There are a wide range of filter types included, thanks to the advanced ACB engine, including a side-band filter, taken from Roland’s influential V-Synth. There are also a range of top-quality effects included for adding character and ambiance, including everything from overdrive and distortion to chorus, reverb and more. 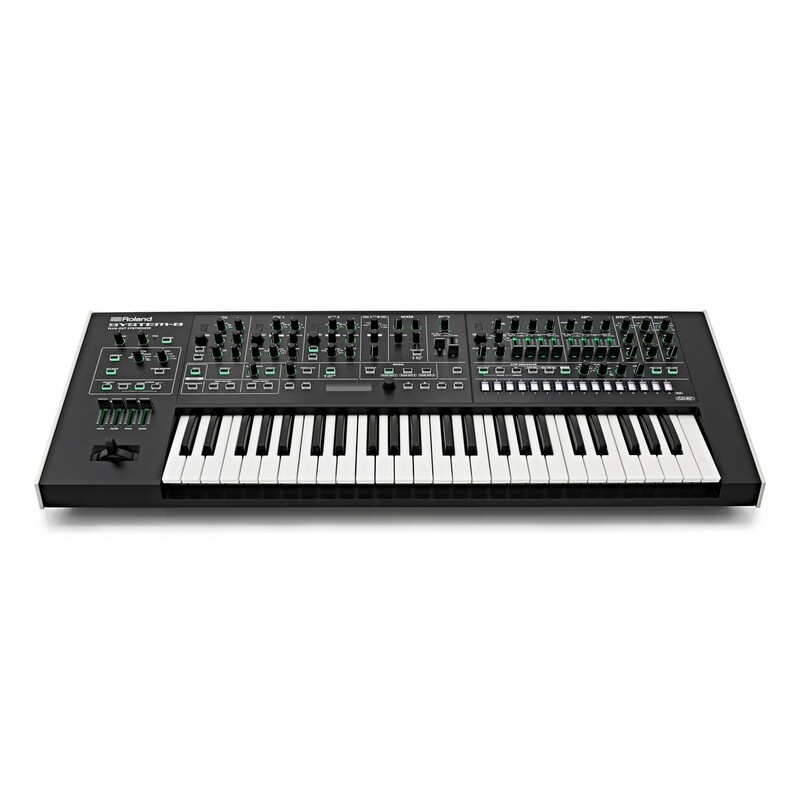 The wide range of synth parameters and hands-on controls makes creating new sounds a breeze. While the System-8 excels as a stand-alone performance instrument, it can also integrate easily within a music production environment, allowing you to utilise the System-8 with your favourite DAW. 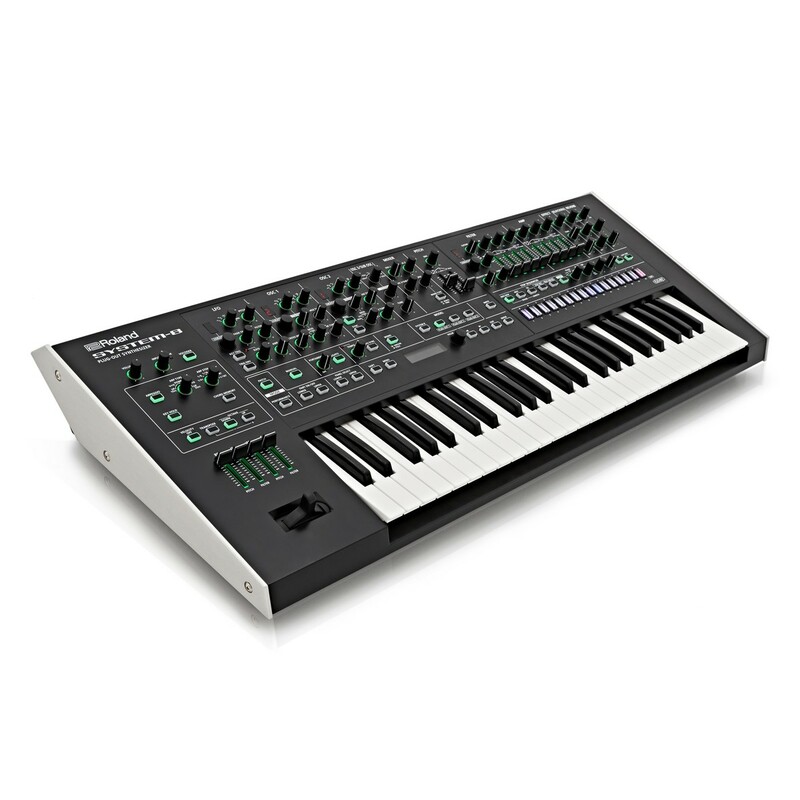 The synth features a built-in USB audio/MIDI interface for connecting to a digital audio workstation and the 49 full-size, velocity-sensitive keys provide a dynamic response, perfect for recording complex MIDI tracks. The System-8 also features a control surface made for the knobs, sliders and buttons allowing you to use the controls to use with virtual instrument plug-ins. CV/GATE outputs have also been included allowing you to send note/pitch data from the synth engine and step sequencer to external gear such as modular synths and vintage analog gear.